The following is a list of products that Orrell Roofline specialise in. However this is not a comprehensive list. Please feel free to call us to discuss your needs. Add a stylish finishing touch to your home with Orrell fascias and bargeboards featuring traditionally inspired designs. Choose from many designs, all of which will enhance the aesthetic appeal of your home. This, together with our range of stylish soffit boards gives your home a uniquely individual look. 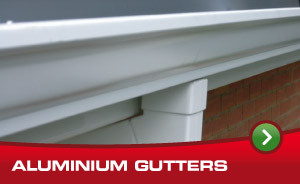 To complete the transformation of your home, have your old gutters and down pipes replaced with a PVCu rainwater system or our new, and unique, aluminium seamless gutter system. Just a few of the many colours available in the Orrell Roofline Aluminium Seamless Gutter Range. 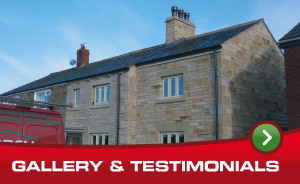 Orrell Roofline are specialists in the replacement of Tudor boards. Existing wooden Tudor and Tudor style boards may be in need of replacement through damp, rot and not being maintained on a regular basis. Our replacement Tudor boards are available in 4 colours, Black, Rosewood, Mahogany and Light Oak, and are backed up with all the maintenance free attributes of PVC-U you would expect. Tudor Board is also extremely popular as a 'decorative feature' to many new build homes, as well as renovation of existing ones, as it provides a 'period charm' that many developers and home owners are looking for. Have a look at the picture below to see an example of before and after pictures. Orrell Roofline anti-vermin and roof-guard system watches over your home, whether you have plain tiles or interlocking pantiles. It allows the air to vent in to the roof space, and at the same time keeps out birds and vermin, which would normally enter your home. The roof-guard system also allows the rain to run into the gutter and not into your roof space. 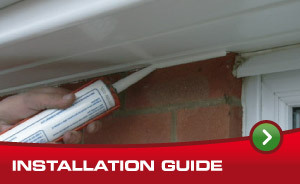 To see what this looks like and how it works please view our installation guide. © 2010 Orrell Roofline. All rights reserved.